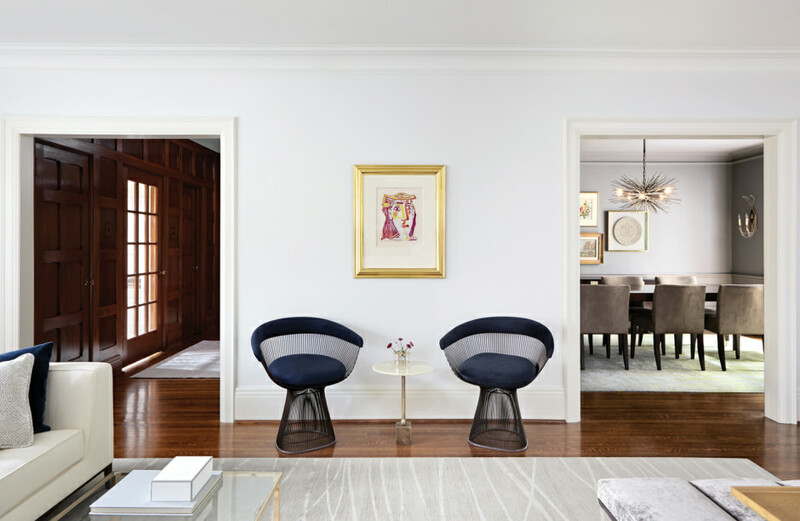 “The Andrew” offers distinguished living in an intimate setting. This end unit penthouse suite provides 2 generous bedrooms, a den and 2.1 opulent bathrooms. 1,745 square feet of interior living space is complemented by an additional 569 square feet of outdoor enjoyment. The through-unit design and end-unit position ensures ample natural light, and provides the feel of a single family home. Enter from the temperature-controlled parking garage via your semi-private elevator, or simply walk through your own front door. 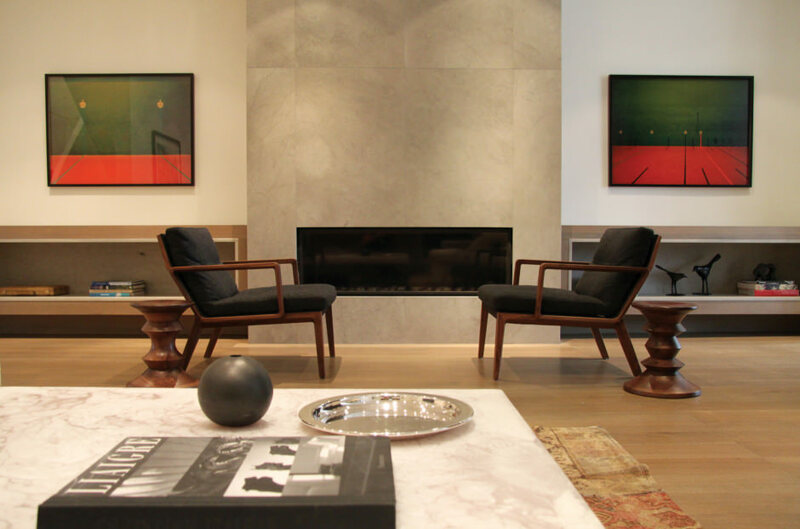 10’ ceilings are standard, while interior finishes may be fully customized to realize your distinct vision. The heart of this home is the open concept living room, dining room, and gourmet kitchen spaces. This area provides two walk-outs through French doors to the spacious rear terrace, which includes gas rough-ins for a built-in barbeque and a fire pit. The standard finishing package includes appliances by Sub-Zero, Wolfe, Asko and Miele. The bright kitchen overlooks the living room, which is warmed by the charm of a gas fireplace. The bedrooms are quietly removed from the main living area. The master retreat boasts an oversized walk-in closet, semi-ensuite den, a walk-out to the front terrace and a spa-like ensuite bath complete with freestanding soaker tub, generous shower, double vanity, and radiant in-floor heating. The second bedroom enjoys plenty of natural light from a sizeable window, and provides a private ensuite bath plus oversized closet. 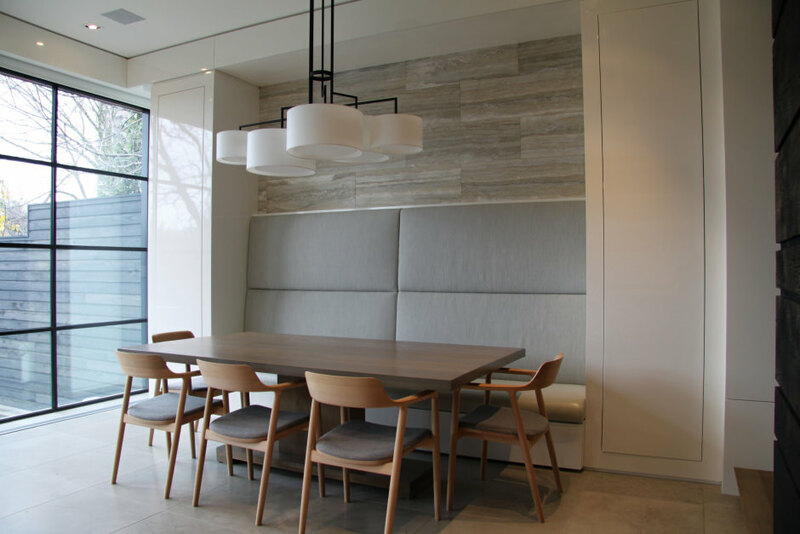 No detail or comfort will be overlooked, including superior acoustic separation, individual heating, cooling, and ventilation units, 8’ Kolbe windows, and a Savant home automation integration system. Located within the canopy of century old trees, in the heart of one of Canada’s most exclusive residential enclaves. 19 unique “Estate Flats”, just a short stroll to the shops and bistros of Olde Oakville’s historic main street, harbour and beautiful lakeside parks. 331 Sheddon Avenue is truly one of a kind, offering a residential living alternative suitable for young families looking to simplify, professionals commuting to downtown Toronto, empty-nesters looking to right-size, and active retirees drawn to the convenience of turn-key living. Generous in scale and with significant outdoor terraces, each unit will marry the feel of a single family home with the ease of a condominium. 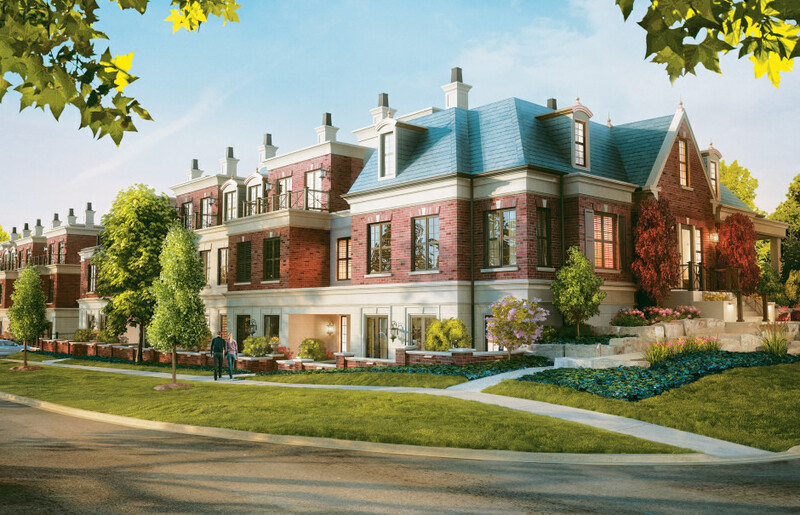 Designed by Bill Hicks and realized by Jonathan Bowman of JRB Group, a lifetime resident of Oakville, this innovative project will complement the history of the area. Highly customizable, the Kim Lambert Design team will work with each buyer to identify their particular taste and choice of finishes. The potential is limitless, however there are a limited number of units remaining. Please contact us to learn more about this exciting project and book your private show room appointment. Visit www.331SheddonAvenue.ca to register and book an appointment. Located in the heart of Oakville, Olde Oakville is known for its mix of heritage and renovated detached homes, urban townhouses and numerous estate residences. Mixed housing styles and mature tree-lined streets create a sense of originality and charm. A relatively small neighbourhood loaded with amenities, schools, and a sought after downtown lifestyle.